HAPPY TUESDAY!!! 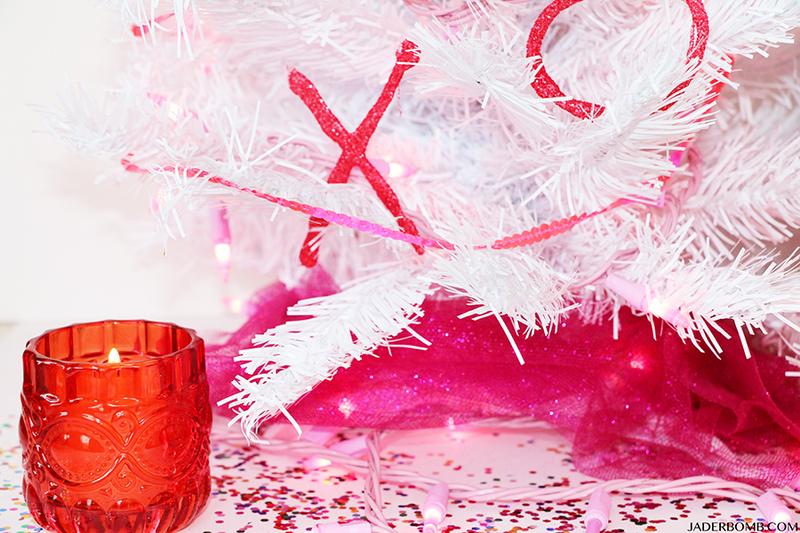 I am so stoked about finally showing you my Valentines Day tree I did for Treetopia! 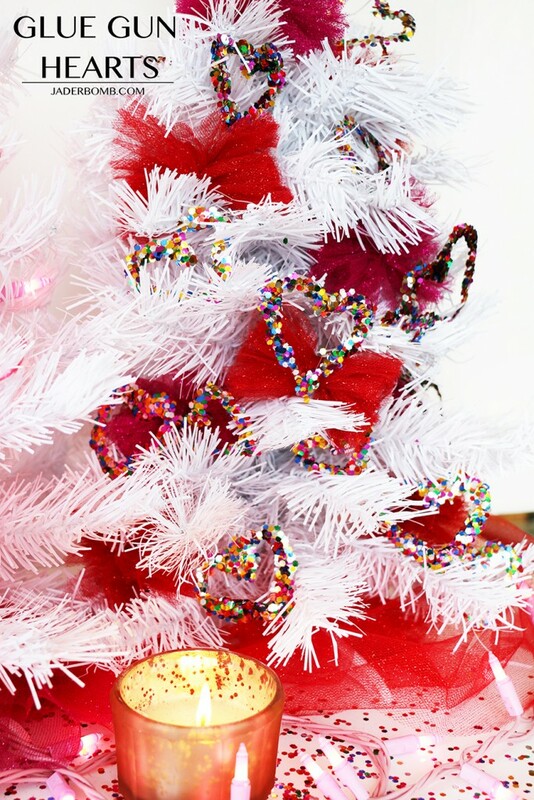 Don’t forget to hippity hop on over to Treetopia’s Blog for a chance to enter the #xotretopia giveaway! 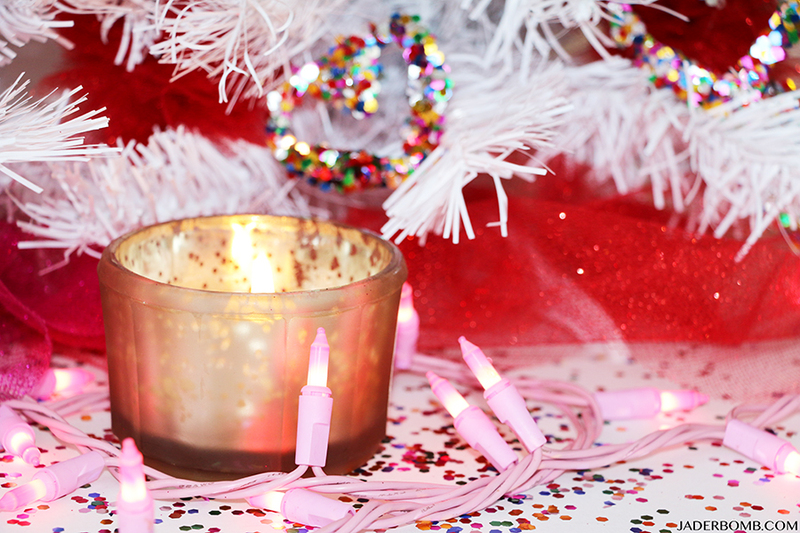 On to more glittery things. 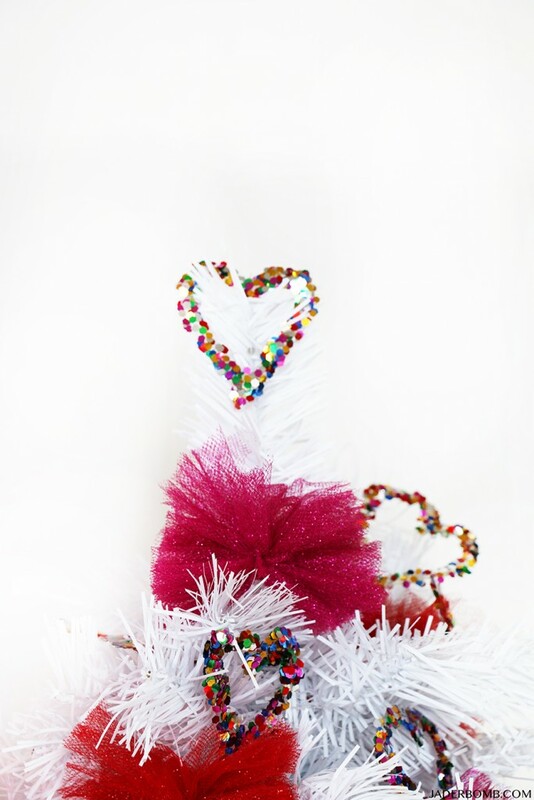 Today I will be showing you how to make unique, fast and kid friendly ornaments. 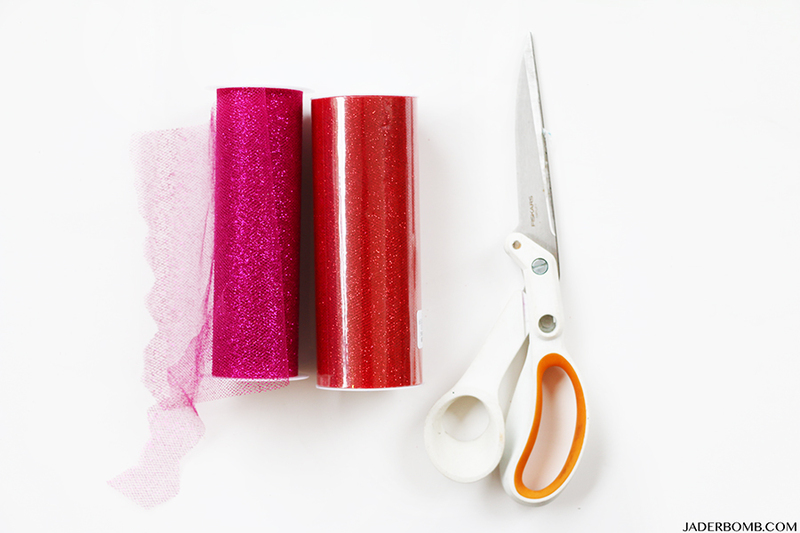 You won’t believe how much fun this project is and I am sure you will use this technique for many other holidays! Let’s get started. Also make sure to check out my interview on Treetopia’s site! These are the trees I used! 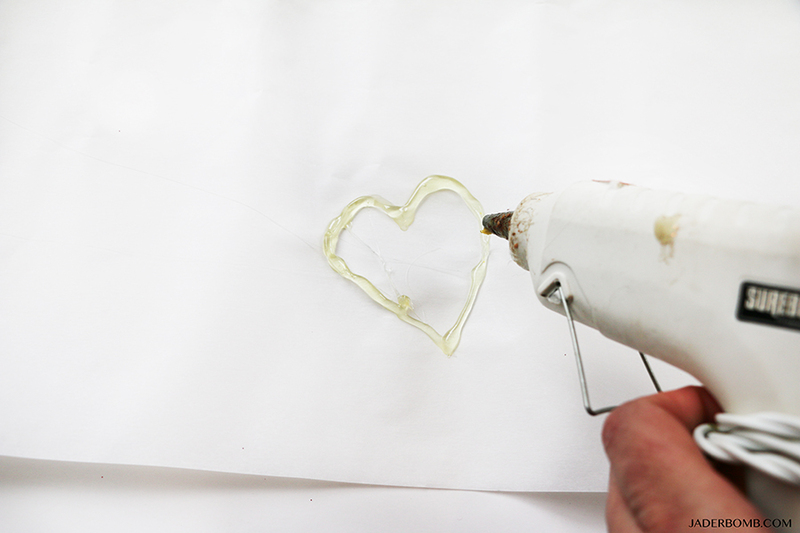 Carefully draw a heart on your parchment paper with your glue gun. 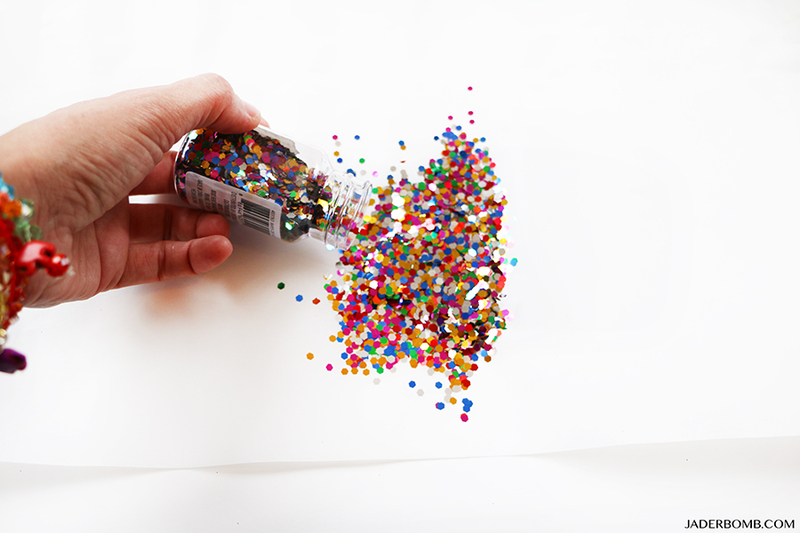 Sprinkle your glitter or confetti as soon as you are done. 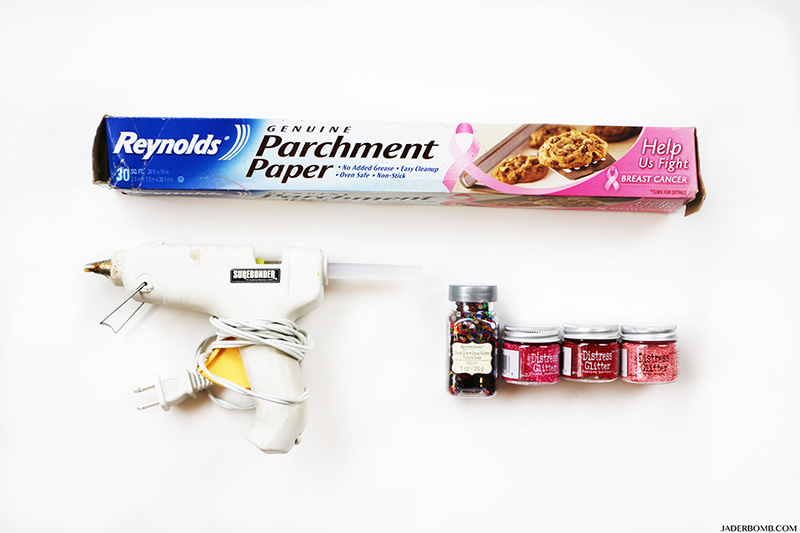 You do not want your glue to dry for this step! Let it sit for a minute or two and VOILA! 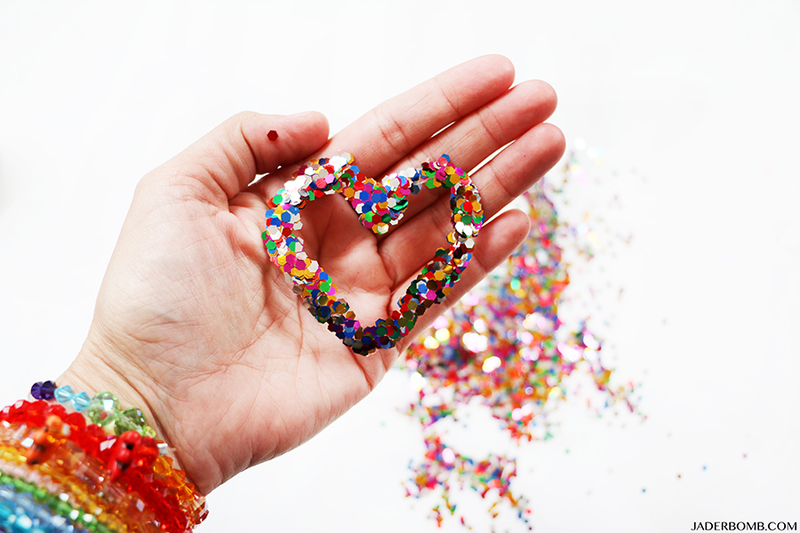 Your one of a kind glitter heart! 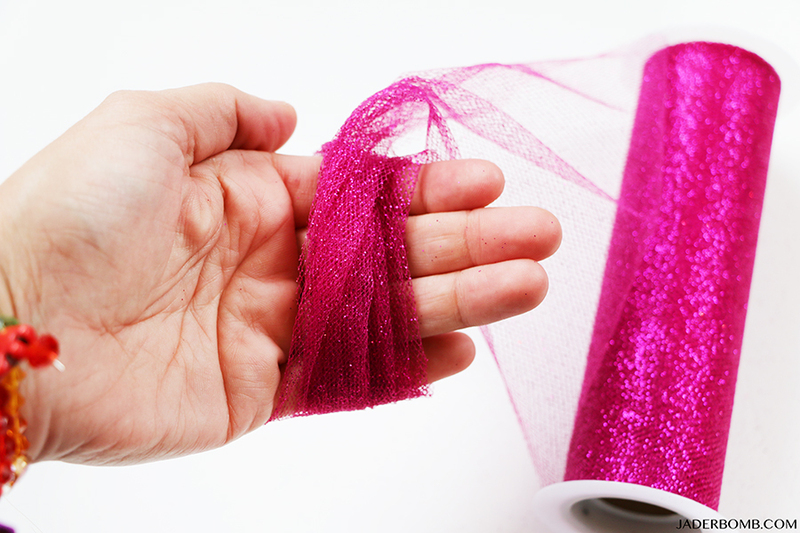 Wrap the glittery tulle 4 times around your 4 fingers. 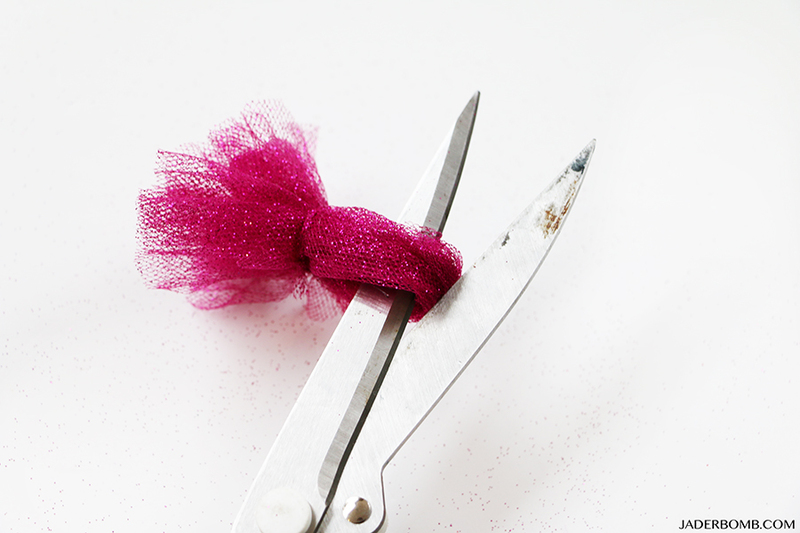 Carefully pull off fingers. 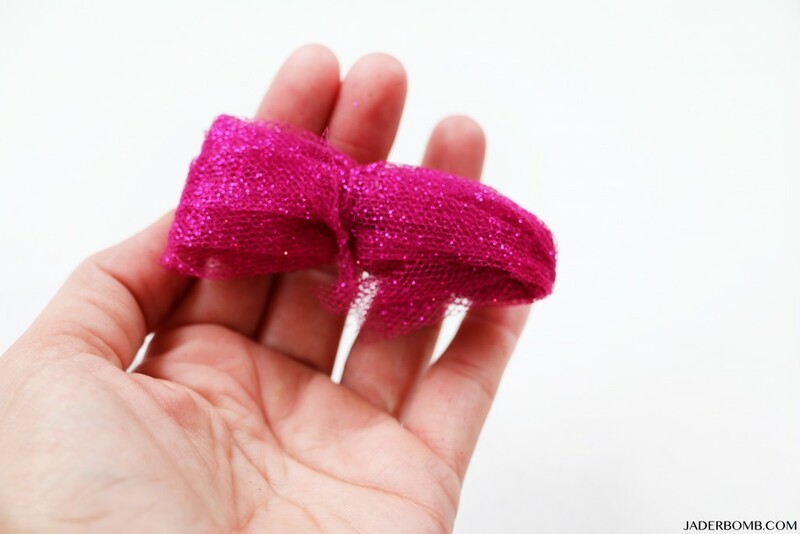 Tie a knot directly in the middle. 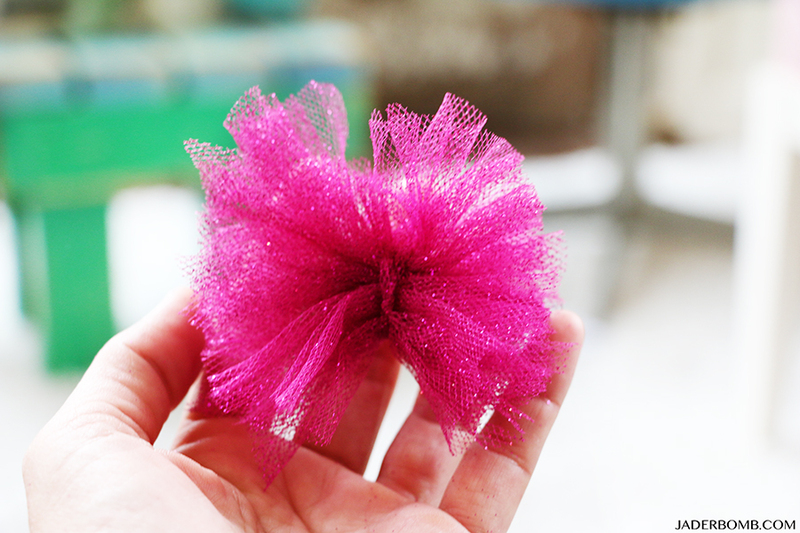 Use your fingers to FLUFF it UP and here you have your very own tulle pom pom. 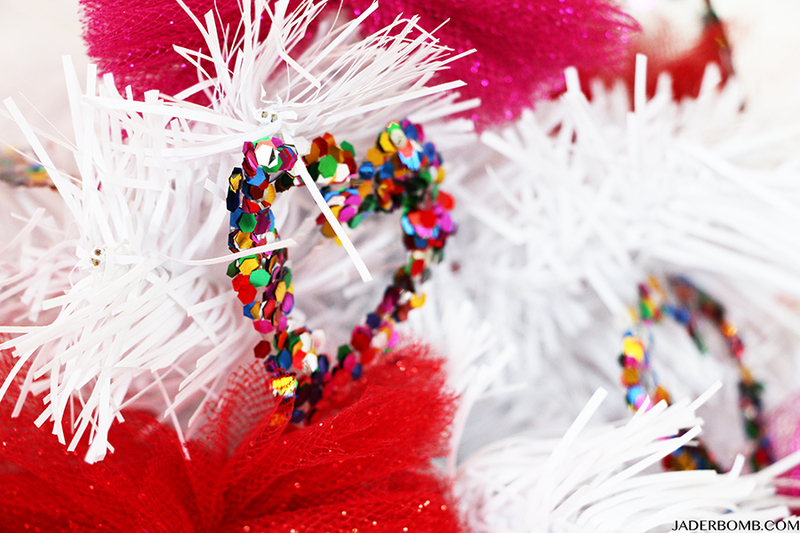 Now you can add all your beautiful ornaments to your tree! I made these X’s and O’s the same way I did the Hearts! 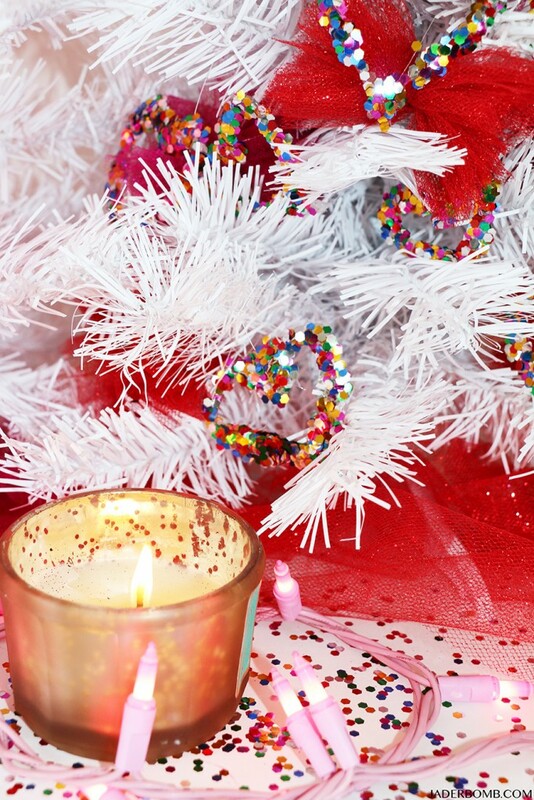 Head over to Treetopia and enter the #xoTreetopia giveaway today. 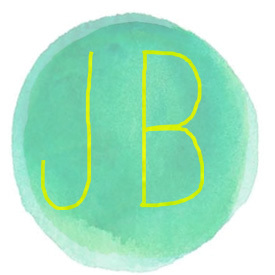 I’m just the first stop on a really awesome week long blog hop of amazingly talented ladies. Hope everyone has a great Valentines Day! See you in the next post!